Solar hot water systems use solar collectors (either solar panels or evacuated tubes) which absorb energy from the sun to heat water for your home. The heated water is then stored in an insulated tank for when you need it. The solar collectors are usually located on the roof of your home - they are best positioned facing north. On cloudy days, or when hot water usage is higher than usual, your hot water system may need a boost. The booster heating unit will come on when the water temperature falls below the thermostat setting and turn off automatically when the water reaches the required temperature. A gas booster produces less greenhouse gas emissions than an electric booster. There are many types of solar hot water systems (or solar water heaters) available so it’s important to choose one that suits your needs. If you live in a frost-prone area ask your installer about frost protection for your solar hot water system. Solar systems cost more to buy and install but the extra upfront cost will be recovered over the life of the system through reduced energy bills. Solar systems will recover their costs more quickly in larger households, in warmer parts of the country, or where there is plenty of access to sunlight. The difference in cost will be paid back as you'll spend less on heating water. You will reduce the amount of greenhouse gases your home produces. And of course another major benefit of solar systems is that they use a renewable energy resource. Why purchase an entire Solar Hot Water Kit? We have designed our solar hot water heating kits in a way that combines the most appropriate and effective components with one another. You no longer need to do the extensive research needed to figure out exactly which components make up a fully functional solar hot water system as we have done this for you. Purchasing solar hot water panels and collectors together in one kit with the rest of the required components also brings down the overall cost of the kit itself as you're buying in bulk and shipping and logistics costs are also reduced. What makes up a fully functional Solar Hot Water kit? Our product line up includes complete solar systems, as well as solar conversions for electric geysers. 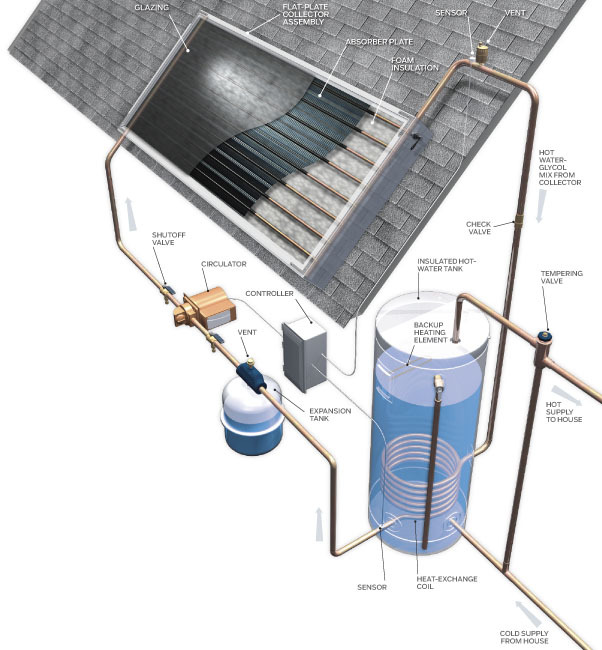 In some cases your existing hot water system can be converted to a solar system by retrofitting the hot water cylinder with one or more solar collectors. Not all hot water systems are suitable for conversion – our engineers will be able to advise you on this option. Don't be intimidated by the initial complexity of solar hot water heating systems . These kits provide you with everything you need to install a fully functional system in your home. Savenergy.co.za stocks the highest quality solar hot water kits . Browse through our catalogue of available kits and find the one that best suits you and your requirements.